Kwan Wu ranks among the top sculptors in the world. His reputation was established very early, and it is fair to say that he was being groomed to become the state sculptor of China. 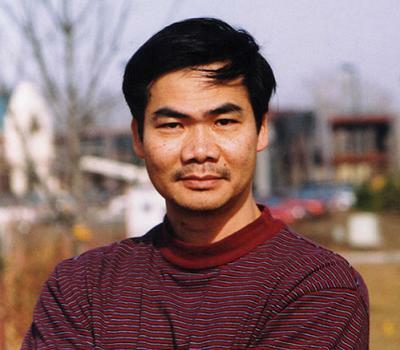 A series of events brought him to the United States in 1988 and led to his U.S. citizenship in 1997. Starting with nothing but determination, talent, and a dream, Kwan has established himself among the top sculptors in the West. Kwan's quality is quickly recognized and covers work from heroic and monumental to miniature in a wide range of subjects. He lives in the Kansas City area with his wife and children and works from his newly built home studio & workshop. What sets Kwan apart is his ability to put 'life' into his work to capture the spirit and emotion in powerful ways. His is truly fine art at its best. Kwan's work offers a rare opportunity to participate in the rise of a world class artist in his new country. Click to read Kwan Wu's story. Copyright © 2012 Kwan Wu Studio. All rights reserved.